Every smartphone comes with a stock ROM and now a days every OEM is adding their own custom skins over the Android to make it different from others. 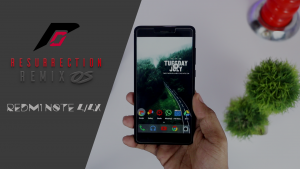 Now you will like this stock ROM for some time, but eventually, you will get bored of it and feel the need of a new ROM which has a better interface, better performance and have some additional features. Now if you have an android device then custom roms are the solution, as they provide a stock android experience with attractive interface and delivers a great performance in terms of battery with tons of added features. 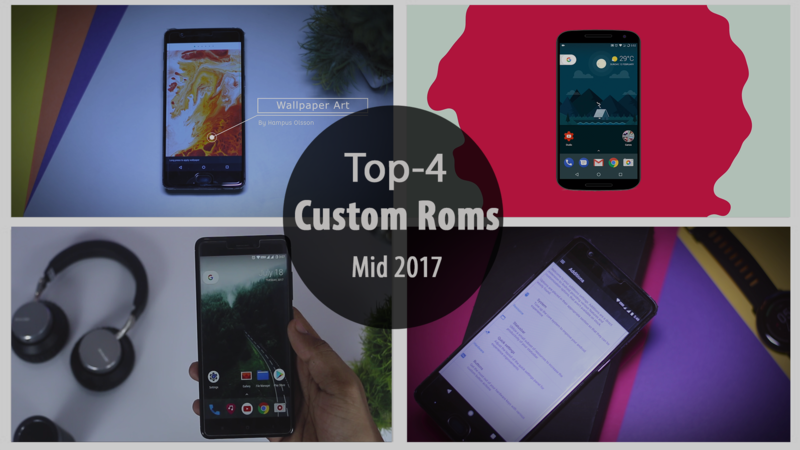 And that’s exactly why today I am going to show you top 4 custom rom of mid 2017 that you should try right now. 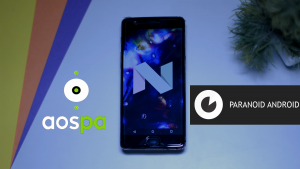 The very first on our list is the recently released Paranoid Android rom which is one of the best AOSP based rom out there.Aesthetically the rom looks and feel almost like the pure stock rom and the UI is amazing just like you are using a pixel device as it borrows the same launcher form pixel devices. I used this rom since the day it released and so far so good, the rom feels buttery smooth with no lag as of now, and I pretty much enjoyed the experience, it’s fast and responsive as you would expect from a stable rom. This rom also have some pretty awesome wallpaper art that is done by Hampus Olsson, the same guy who had also done wallpaper arts for the oneplus devices. Talking about the battery performance which is also quite good but I think it could have been better because there are roms available with much better battery life. I was getting more than 6 hours of screen on time on my oneplus 3t with a moderate usage which is at least better then Oxygen OS. 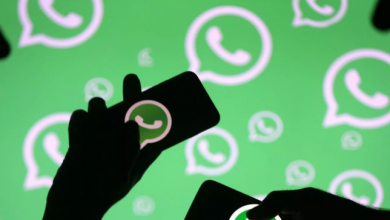 Talking about the features, it has to offer some really cool features like the pie control which is a sort of hidden navigation button, immersive mode which basically allows you to hide the status bar and navigation bar to maximise the screen space. Next up we have the colour Engine through which you can change the overall look and colour scheme of the UI by changing the primary and accent colours. Moving towards the camera department, the stock camera app on this rom is just fantastic when you open the app it looks quite minimal, at the top you get lots of different modes like HDR, AUTO HDR, Portrait, Landscape and many more. Additionally you can also apply live filters on the go and you also have an in built beauty mode. Now if we talk about the list of supported devices then I thinks it’s quite limited but it supports devices from some major OEM like Google’s Nexus & Pixel line up, All Oneplus devices and some major Sony devices. The second one on this list is the so called Lineage Os as we all know that CynogenMod is no more. Say hello to its successor which is called Lineage OS or line age os whatever you would like to call it. 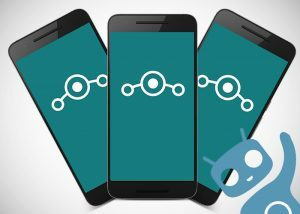 Lineage OS picks up where CM left off with version 14.1, which is based on Android 7.1 Nougat. The features are mostly the same, except now apps do not have root access. Other changes include the name, logo, and unfortunately supported devices list which is quite limited but not that much short too. 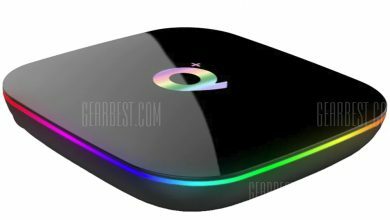 It supports most of the current devices from major OEMs like Samsung, Google, OnePlus, HTC, Xiaomi and many more. Everyone loves to have a customised version of the Android experience. And, Lineage OS ROM is one of the best options to customise your Android device from many aspects – including visual and productivity aspect. Talking of visual customising, you can change the theme, adjust how the notification bar looks, rearrange the notification shade and do a lot of things. One problem with OEM-based ROMs is the slower update cycles. It takes more than a few months to get Android updates even after official rollouts. With Lineage OS, however, you don’t face this issue. When compared to the other ROMs, it has a quicker update cycle. Even if an official ROM is not available, you can get some unofficial ports. In other words, it offers plenty of methods to stay up-to-date with the OS releases. Everyone loves to have better battery life for their devices! With OEM ROMs, however, it’s still a distant dream. Even as manufacturers pack bigger batteries with the device, they cannot focus on the software side of it. Due to several reasons, Lineage OS ROM offers a better level of battery life in almost all devices. The main reason is that this ROM does not come with any bloat ware. There are no background-running apps or unnecessary services; it means that battery will be used only when it’s required. The Community Support from Lineage OS ROM is something amazing. You can find answers for almost all the doubts you have — let that be some tweaks or customization options. On top of all these, Lineage OS promises better performance. 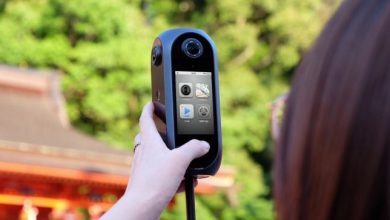 You can get the best output from your existing hardware, especially when compared to the OEM-based ROM you’ve been using. The next one on the list is called the Resurrection Remix rom, which is basically a “Remix” of the best feature found in AOKP, Lineage and Paranoid Android Roms. Meaning you will get the best of all. Starting with the UI, on the first boot you will get the option to choose between 2 different launcher, the first one is the old school Trebuchet Launcher and the other one is, as you might have already guessed, the pixel launcher which is now a days a default launcher in most of the custom Roms and this one is directly ported from the Upcoming Android O. Taking about its battery life which I think is insane, as before installing this rom I was using the stock MIUI 8.2 rom on my Redmi note 4x which has a very good battery life, but after using this rom I can clearly say that this rom has far better battery backup then the stock Rom. In my day to day usage which include couple hours or gaming, zipping between different social media apps and normally taking some calls, I was easily getting more than 7 hours of screen on time which is quite enough to get me running throughout a day and still about 30 % of Juice lefts. The last one on the list is called the Cypher OS and I am pretty sure that you may never heard of this rom. 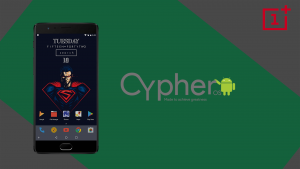 Cypher OS is basically a rom that will give you the closest Stock android experience like pixel devices as it offers the same pixel launcher and the new animated navigation buttons. Let’s start with the performance, now I have tested the cypher OS for about 3 weeks and the OS feels quite stable with my daily day to day usage. It is running on the latest version of android that is Nougat 7.1.2. The first one in the list is called system here you can set your screen short type, add advance option to the power menu and you can also enable one handed mode which can be triggered by just swiping left over your navigation bar. You can also tweak different aspects of your status bar like add or remove icons, show notification count and many more. Next up is the quick setting and this one is my favourite because here you will find these tiles option by enabling which you can trigger battery saver mode with just one click, additionally you can also enable Wi-Fi, data and Bluetooth with just one click and use these option more often. So Guys these were the top 4 Custom Roms that you should definitely try on your supported devices. If you think that we should have added any other Rom on this list then do let us know that in the comment section.